If you’re planning to build a new custom home, you’re about to make a lot of design decisions. Many people find this part of the process to be the most fun, but even if you enjoy it, making so many choices can feel overwhelming. Using Pinterest is a great way to find inspiration, generate new ideas, and keep your thoughts organized. With millions of images at your fingertips, you can find the design details that resonate most with your style and customize them for your own home. Whether you’re a new Pinterest user or a seasoned pinning veteran, there are a few tips you can try to get the most from your boards when looking for home design ideas. If you’re brand new to Pinterest, let’s cover the essentials first. Pinterest is a virtual pin board that allows you to gather and organize images. You can use it instead of clipping images from magazines or making collages and mood boards to inspire design ideas. People use Pinterest to get inspiration for all sorts of things, including weddings, clothing, hairstyles, gardening, and of course, home design. Pinterest is also a social network like Facebook, Twitter, or Instagram. The platform is based entirely on images, and each of them is called a Pin. A Pin is like a tweet on Twitter or a post on Facebook. You collect and organize your Pins on boards, and you can have as many Pins and boards as you like. 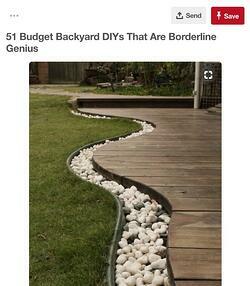 These can be shared with the millions of other Pinterest users so people can get inspiration from your ideas. You can also search the platform for images to pin on your own boards. You can add Pins from your own photo library, images you find on the internet, and other people’s Pins. 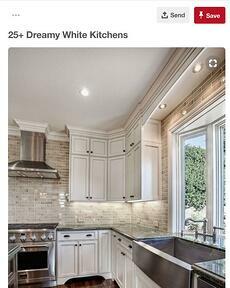 Pinterest will make suggestions based on the images you have pinned, and you can also search for keywords and phrases to find new home design ideas. Because it’s a social platform, Pinterest also lets you follow other people’s boards. If someone has pinned some images you like, just follow them and you can see their future pins! When you need a little inspiration, just click on the Following tab to see what’s new in the boards you follow. If you’re collaborating on your new custom home design, you can share your boards with your family, the builder, an interior designer, or anybody else working on the project. Pictures speak louder than words, so rather than explaining your ideas to a designer or builder, show them what you have in mind. You can also use group boards to collaborate on projects together. As the board creator, you can give other people permission to add new Pins to your boards. Use this feature to allow family members to make some of their own choices. Let teenage children select their own paint colors, or give everybody in a multigenerational home the opportunity to personalize their individual spaces. You can have as many boards as you like, so use this flexibility to stay organized. For example, you might want to have a board for each room in your home. If you’re trying to decide between different styles, you can create boards for each of these. For example, you might have boards for modern, classic, and Craftsman exteriors. With millions of users and even more images, Pinterest can feel overwhelming, especially if you’re not yet sure what you have in mind for your home. Adair Homes has created dozens of boards to help you get started on your new custom home journey, so follow us on Pinterest to get ideas for specific rooms, color palettes, design styles, and even seasonal decor. When you’re ready to step out of the digital world, schedule a consultation with one of our Home Ownership Counselors. We can help you bring your home design ideas to life in one of our customized floor plans.